In this video tutorial we will explain you how to show the word count in Microsoft Word. 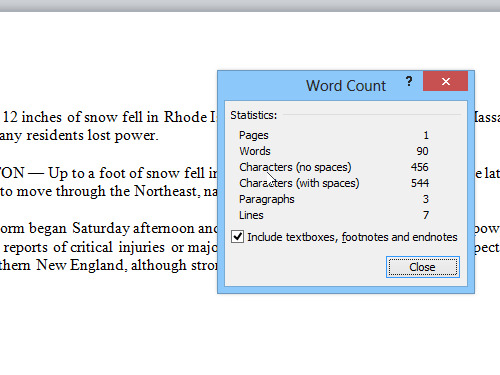 In order to show the word count in Microsoft Word, open a Word document. 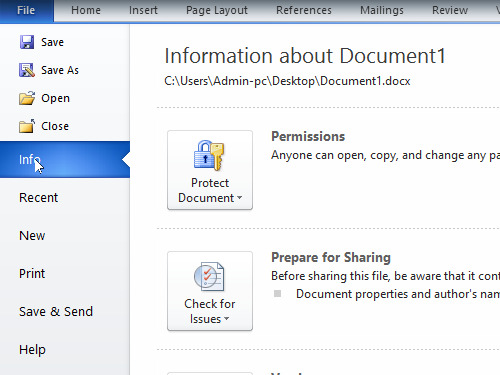 Go to the “File” menu and find the information about the document properties in the “Info” tab. Here you can see all the characteristics of your document, including the word count in the document. Go to the “Home” tab. You can see the word count in a Word document if you look at the program’s panel at the bottom of the window. Click on it. Here you can see the full statistics of the document, including count of pages, words and characters.